Home / Our Villages / Blagdon Village / Village Diary / Village life at its best! nnMarch saw a flurry of activity in the village, as residents took advantage of the warmer weather, lighter evenings and busy social programme. The weekly boules sessions have restarted and the team are in training for a match against a French team that visited the village last summer. Arrangements are in hand for the rematch in Lisieux, Normandy, Taunton’s twin town. For those that like to socialise in other ways, Tea and Chat seems to be the activity of choice. First introduced to encourage residents to get together, the sessions are now well attended. Every month or so our restaurant hosts a themed night, in March it was ‘Pies and Puds’. The meal was fantastic and the success of the evening was down to our excellent village chef, Marion. On the last Friday of the month the village hosts its own quiz night. 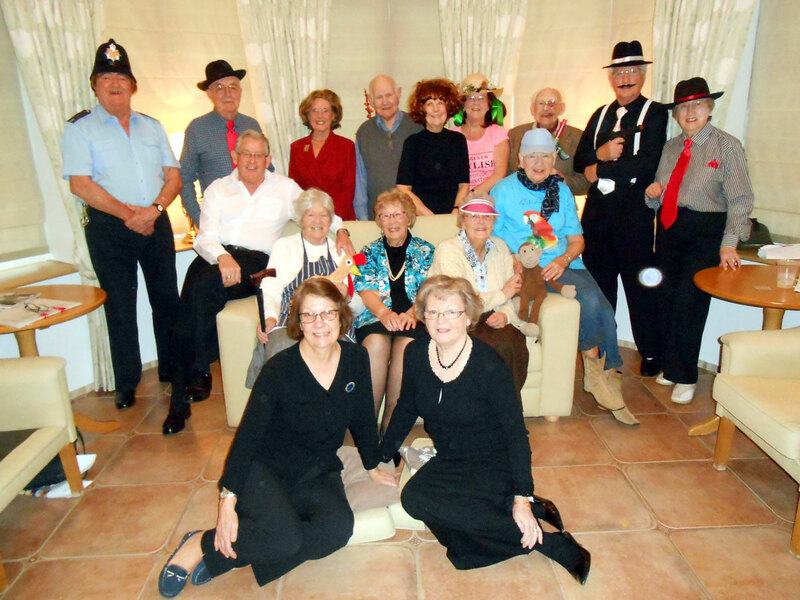 The evening is a social highlight for residents and has been running nearly eight years – which makes it almost as old as the village. Something that also received a fantastic turn out was our Play Reading Group’s performance of ‘A Wild Goose Chase’. Another of their hilarious productions with much of the amusement coming from the fact that rather than attempting to remember their lines the cast members read from scripts. It was an excellent show! In fact, we were spoilt with entertainment in March, as we were also treated to a Magic Show. As well as being a member of the Magic Circle, this magician was extra special as he was also the son of one of our residents. He popped into the village for an intriguing performance, which left us completely baffled. He will be back again for sure. The cast of ‘A Wild Goose Chase’.